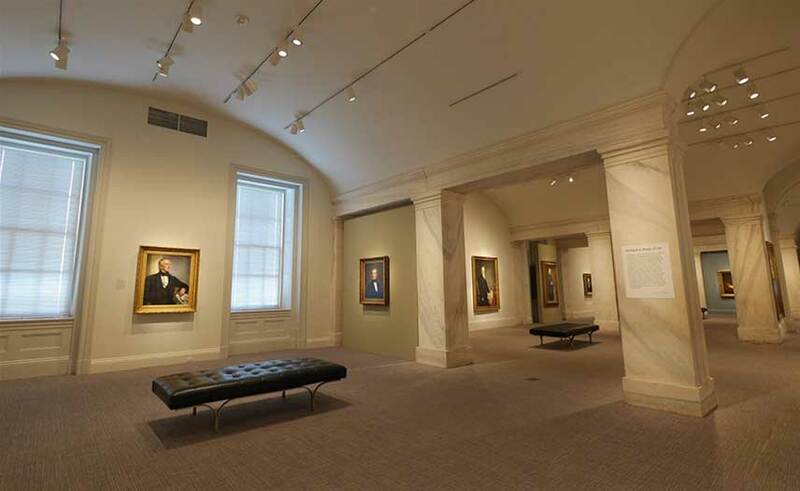 While the regular gallery space was refurbished and updated, “America’s Presidents” was temporarily installed in the west gallery on the second floor through Sept. 4, 2017. 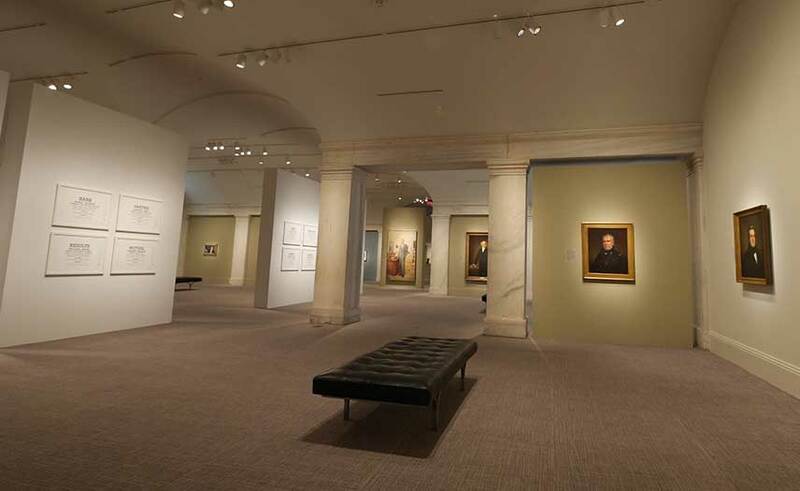 The exhibition returned the refreshed gallery spaces and reopened on Sept. 22, 2017. 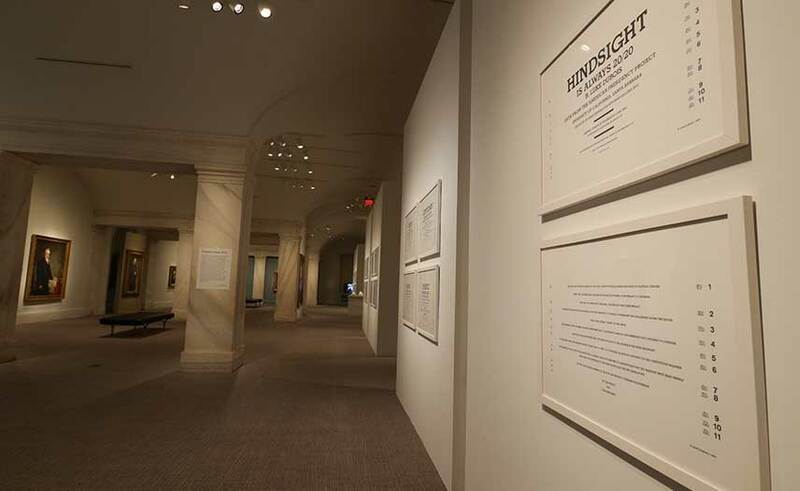 The temporary installation will included “Hindsight is Always 20/20” by contemporary artist Luke DuBois. DuBois generated “word clouds” with words and phrases from the state of the union addresses of 41 presidents. He then presented them in order of most frequent to least frequent word in the form of an eye chart for each president. The result was a startlingly clear snapshot of the lexicon of each presidency, containing a mix of key words and rhetoric unique to each president and the time period in which they served. The words amplifed the story that we tell about the presidents by highlighting how the issues of the day became part of Americans’ political dialogue and vocabulary. 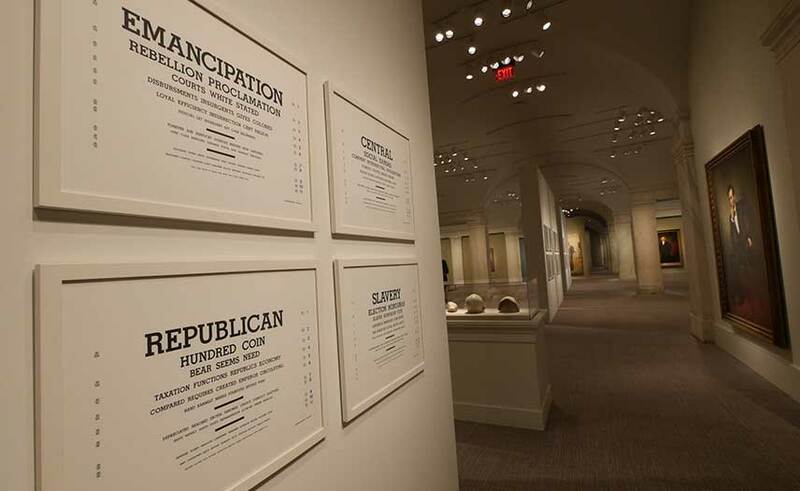 The installation allowed visitors to marry words with images in a way that was both educational and aesthetically appealing. View of "America’s Presidents Temporary Installation." Photo by Elise Mollica.